Electrics are hugely important to the success of any business. Having them in working order helps to ensure safety and the success of your company. At MD Installations (West Midlands) Ltd we have years of experience in the specialist installation of fire and security items, as well as other electrical repairs and maintenance. Our team are dedicated to delivering a great service and take their training and accreditations extremely seriously. We have been accredited by both CHAS (The Contractors Health and Safety Assessment Scheme) and NICEIC, providing you with the reassurance you need. Our prices are always affordable and competitive. We like to build up a long-term relationship with our clients, providing you with a reliable and trustworthy service. For more information about the services that we provide, please give us a call today on 01922 416175. Portable Appliance Testing or PAT is it is a better know is a way of testing devices around your home or business. The majority of defects within appliances can be found after a visual inspection and this is the form of inspection that is typically carried out on appliances. However, if the faults are not easy to see then testing will need to be undertaken. A device will either be awarded a pass or a fail. If it fails, then it is important that adequate repairs are carried out. The Electricity at Work Regulations 1989 make it a legal requirement for any electrical appliance to be maintained and kept safe. The HSE (Health and Safety Executive) are responsible for checking that PAT has been carried out. Guidance and advice on PAT is available from their website here. 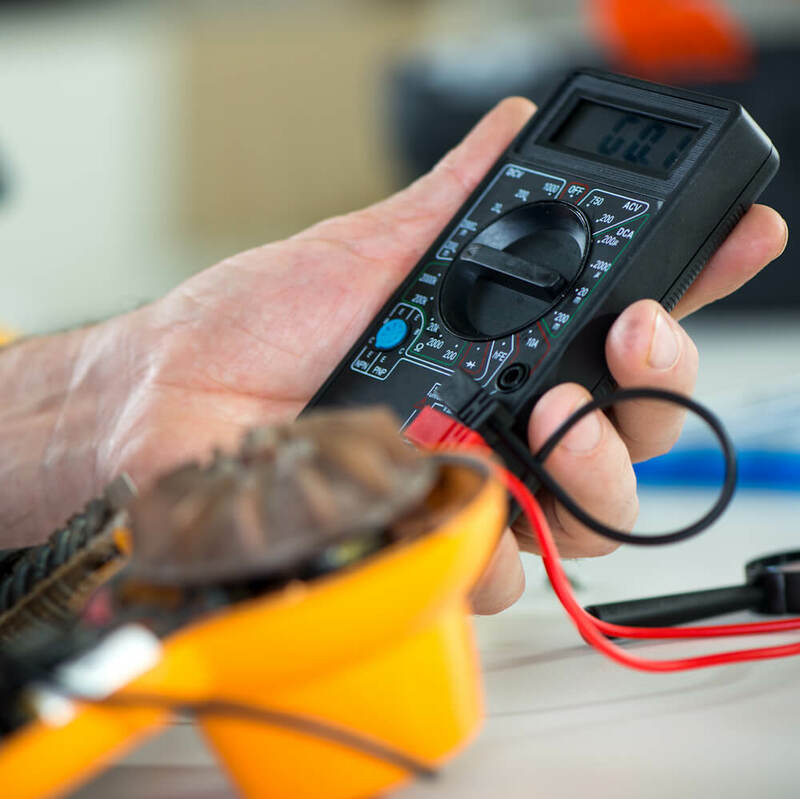 When class 1 equipment is tested, it will also need to have test signals injected into the cable and appliance to make sure that there are no faults. Appliances in this class will rely on an earth protection and have basic insulation. Some examples of class 1 equipment include kettles, toasters, irons, microwaves, fridges and freezers, washing machines, and tumble dryers. Other electrical appliances fall into two main categories, class 2 and class 3. Class 2 refers to appliances with supplementary insulation and they do not require earth protection. Common examples of these include TVs, lamps, DVD players, power tools, and hair dryers. Class 3’s rely on separated extra-low voltage supply (SELV) and do not require testing. Our team are available to inspect and repair any problems that are found within your control panel. Only once this has been done will we sign off on any installation that we have carried out. When it comes to data cabling, it is important to use a company that you can trust to install anything that you need. Data cables refer to any media that allows binary 1 and 0s (baseband transmissions) to be sent from transmitter to receiver. Cabling tends to be used in networking, telecommunications, and for media devices. The most common forms of cable include Ethernet, token ring, optical fibre, coaxial, serial, telecommunications, and USB. Ethernet cables tend to be categorised into Cat 5, Cat 5e, Cat 6, and Cat 6a. Having an understanding of these different categories can help you to gain an insight into the development of the cable. Cat 5 wiring consists of a twisted pair cable for computer networks and has a standard performance of up to 100 MHz. These cables can be used to carry other signals such as telephone and video. The Cat 5e superseded this cable in 2001. The Cat 6 is a standardised version of twisted pair cables and is backwards compatible with Cat 5/5e. This cable provides a performance of up to 250 Mhz and has a reduced maximum length of 55 metres. The 6a was defined in 2009 and works up to 500 MHz. Our team of fully trained and professional electricians are on hand to help provide data cabling installations for you, no matter what you need. For more information about our services, please do not hesitate to get in contact. As the county town of Staffordshire, Stafford has a population of around 68,000 and is home to Stafford Rangers F.C. When you are in the area there are plenty of things to do for all the family, keeping everybody entertained. The Ancient High House provides an insight into Tudor style architecture from the area, Stafford Castle is ideal for those interested in history, and for those interested in nature the Doxey Marshes Nature Reserve is a great location. If you require any electrical inspections, installations or repairs, please do not hesitate to get in contact with our team as we provide services across Stafford and the surrounding area. Keeping your electrics in order and your company working at full capacity is important. At MD Installations (West Midlands) Ltd we provide a wide range of electrical services based around installation, maintenance, repairs, and inspections. For more about our services, please feel free to contact us today on 01922 416175 or fill in our online contact form.